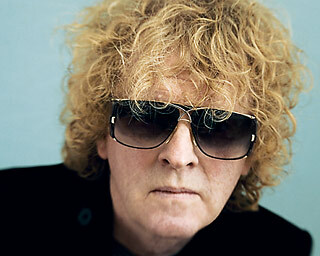 Dating back to your days in Mott The Hoople and throughout your solo career, you’ve always worn incredibly large sunglasses. How did this fashion trend begin? It all started when I was a kid, living with my parents in England. My eyes were extremely weak. Even driving down a road, normally, I was like this [hunkers, squinting over imaginary steering wheel]. And my mother used to say, “You should really get some glasses.” But the glasses weren’t very good in those days. When I finally went onstage, I couldn’t handle the lights at all; my eyes were just too weak. So I started wearing sunglasses. I used to get ’em out at the motorway garage. But I’ve got a big head. And I mean physically—I have a big head. Small glasses don’t look right on me, so I like big ones. And then, of course, you can’t find ’em. So I wound up with Gazelles about 15 or 20 years ago. The wrestlers all wear them, and they’re really nice glasses, too. So now my problem is completely solved.